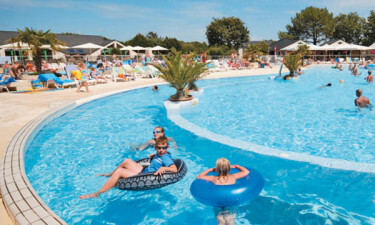 At Le Mané Guernehué Campsite, you can enjoy a relaxed family-friendly campsite with all the amenities and features you would expect on a luxury camping holiday. To find out more about our luxury camping site, please contact our friendly team at LUX-camp, who will be happy to answer any of your questions. 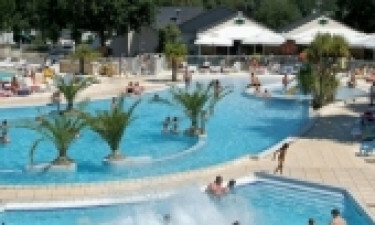 Why should I choose Le Mané Guernehué Campsite? Our pool area is always kept immaculately clean and our pools are amazing. Plenty of sun loungers and shaded areas around the poolside for those who prefer to watch the watery fun! There are lots of slides and good pool facilities for young kids. We also offer an indoor heated pool with an adjacent spa with a jacuzzi. 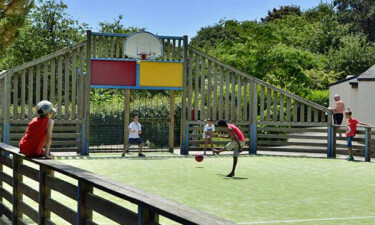 There are many activities on offer at Le Mané Guernehué Campsite, which makes it particularly popular with families as the choice is above and beyond those offered by a typical campsite. These activities include three bouncy castles, a huge trampoline, games room, a children's club, pony trekking, pony riding lessons, a zip wire, pet farm and crazy golf. In the evening, you can enjoy the onsite entertainment on in the bar or in the large disco/function room, where you can play bingo, music, watch a magic show, or even balloon modelling depending on what entertainment is on offer that particular evening. Programmes are available in the reception area. 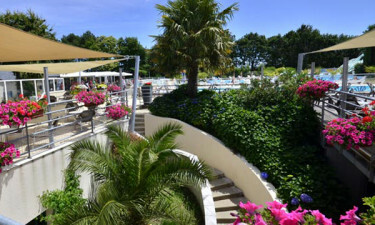 Le Mané Guernehué Campsite offers luxury camping so you can enjoy a camping holiday in style and comfort, choosing from a wide range of accommodation, such as mobile homes. All are cleaned and maintained to a high standard. Brittany is an undeniably fascinating area to explore and the location of Le Mané Guernehué Campsite is ideal for great family days out. Popular destinations include the 'Seanergie' tour of the nearby Golfe du Morbihan, and the megalithic site of Locmariequer, where you can visit the mysterious ancient dolmen stones. There are so many beautiful beaches nearby that it is possible to visit a different one each day! There is a small convenience store on-site, ideal for last minute groceries or for fresh bread and croissants in the morning. The nearby town of Baden has large supermarkets. The Breton towns of Vannes and Carnac are only 20 and 30 minutes' drive away, respectively, and are good places for shopping as well as ideal locations for a day out. 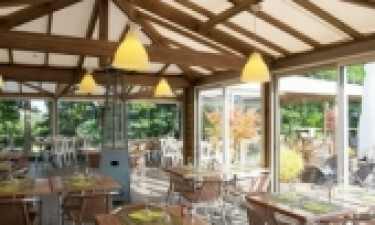 Our onsite restaurant is highly recommended by our guests and offers delicious freshly baked pizzas, local mussels, steak-frites, and great wines. There are many nearby restaurants that are well worth exploring, especially those specialising in freshly caught seafood.